BERLIN -- BMW AG is rolling out a revamped 3-series sedan to widen the automaker's luxury sales lead over Audi and its aging A4. The sixth generation of BMW's best-selling model will hit showrooms in 2012, about two years before Audi overhauls the A4. 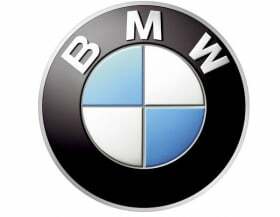 That head start may help BMW's lead over Audi surge 43 percent in 2012, according to an IHS Automotive forecast. Backed by the overhauled 3 series and recently revamped 1-series entry-premium model, which together accounted for 49 percent of BMW's sales last year, "2012 will be the sweet spot for BMW," said Stefan Bauknecht, a DWS Investment fund manager in Frankfurt. "The 3 series renewal improves sales volumes and pricing power, creating an immense margin advantage," he said. The renewed 3 series will adopt parts and technology from the 1 series and 5 series to lower production and development costs. "The model cycle is arguably more important for upscale carmakers than the economic cycle," said Juergen Meyer, who manages about 700 million euros ($960 million) for SEB Asset Management in Frankfurt. BMW's profitability lead "could reach its apex in 2012 on the 3 series." BMW's auto unit reported earnings before interest and taxes equivalent to 14.4 percent of sales in the second quarter, outpacing 11.8 percent at Audi and 10.7 percent at Daimler AG's Mercedes-Benz. "The new 3 series has potential to capture customers" from the likes of Mercedes, Audi, Ford Motor Co. and General Motors Co.'s Opel, said Werner Entenmann, head of Autohaus Entenmann in Esslingen near Stuttgart, who counts on the model to generate more than 35 percent of his dealership's sales of about 1,400 BMW cars a year. Entenmann plans to hold an event for 4,000 customers when the new 3 series goes on sale in February. "It's decisive for us," he said. Sales of the 3 series are projected to jump 22 percent to 448,600 cars next year, boosting the BMW brand's deliveries 9.3 percent to 1.47 million, according to IHS. Audi, which aims to grab the number-one position by 2015, will likely see the gap to BMW widen to 139,700 autos from 97,400 in 2011. Mercedes-Benz, which likewise covets the luxury-car crown, may get closer to BMW, buoyed by a new line of compacts. IHS forecasts Mercedes trailing BMW by 108,700 vehicles in 2012, closer than the 110,500 this year. "Renewing the 3 series is like renewing the company," said Christoph Stuermer, an IHS analyst in Frankfurt. "The 3 series has to be BMW's response to the automotive challenges of the next decade," and therefore needs to address the demand for cleaner vehicles, while generating the profit needed to pay for further development. Mercedes and Audi aren't sitting still. Audi plans to roll out a face-lifted version of the current A4, which was introduced in 2007, in the first half of 2012 with cleaner engines and other improvements, said Moritz Drechsel, an Audi spokesman. Mercedes upgraded the C class in 2011 with new engines and a restyled front end and interior. Next year, Mercedes plans to show the CLC four-door coupe, which will include high-performance AMG versions, to target sportier 3 series customers, said a person familiar with the matter, who declined to be identified discussing internal planning. The next-generation C class is due in 2014. Those responses may not be enough to overcome BMW's early start. IHS predicts the manufacturer will further expand its lead in 2015 to 219,100 vehicles over Audi and 141,500 over Mercedes. "They have two to three years where they can absolutely nail it," said Arndt Ellinghorst, a London-based analyst with Credit Suisse who has an "outperform" rating on BMW stock.